1. Memory plays an important role in this novel. Sometimes incidents are repeated or retold in a slightly different way than they were previously. In reality, does memory play a similar role--repeating and/or sometimes changing? How do Maddie’s memories seem to change--in terms of accuracy--over the course of the novel? Do you think she has arrived at the truth of what happened by the end? Why do you say that? 2. How are Frank and Maddie’s memories of their former lovers different from each other? Each of them comments, at one point, that their former lovers impacted their expectations and experiences. How did bringing those memories into their marriage affect their relationship with each other? 3. How does the author use time throughout the novel? Do you find that memories often impact your present-day experiences, or that present-day experiences bring up old memories? 4. Healing is an obvious theme of the novel. What are different character’s views on healing (whether it works, how it ought to work), and how do they change over the course of the book? 5. What do you think of Vincent’s reaction to his gift of healing? Do you agree with how he responds to it? On p. 203, he says, “‘Paper cut, arthritis, cancer. It’s all basically the same thing.’” What do you understand him to mean by that? What do you think of it? 6. Compare Maddie’s idea of healing at the beginning of the novel with her experience at the end. What has satisfied her at the novel’s end that is not part of her experience or understanding at the beginning? 7. How is landscape used throughout the novel? Talk about the various ways that Maddie sees the Pittsburgh landscape (computer, imagination, etc.). How does the author use the landscape to mirror Maddie’s inner conflict? 8. What are some different ways that the human body is explored in the novel? How do these different considerations help or hinder your understanding of the human body? Of relationships? 9. Toward the end of the book, Maddie realizes that the body and soul are connected: “it was inscribed somehow in her genetic code: the insoluble, incomprehensible bond between body and soul.” p. 243. How did Maddie come to that conclusion? How does the book anticipate this realization? Do you think it exists? 10. How is religion portrayed throughout the novel? What are the different experiences or relationships Maddie, Frank, Vincent and Justine seem to have with the church or with God? How, if at all, does that relationship change or bring change to them? 11. How does Maddie and Frank’s relationship change throughout the novel? 12. Who was your favorite character? Did any of the characters annoy you? Think of all the minor characters: how did they each affect Maddie? 13. 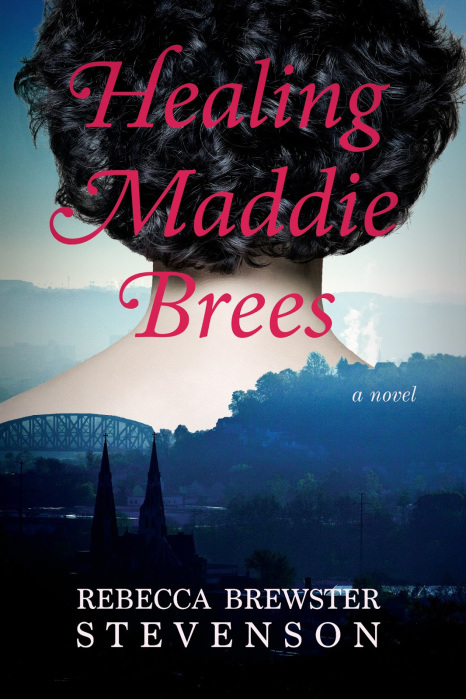 Vincent says, “Everybody just wants God.” Does the book bear that out, ie., does Maddie find that to be true? Does Frank? Where does it appear to be true in the book, and where not? 14. How might things have gone differently if Frank had not confessed his infidelity to Maddie? Could the book have had the same ending? 15. What-if anything-surprised you about the book’s ending? Did the book prepare you for the surprises? If so, how? Or how not?